Its been a long windy, heck I don’t even knw what to think. You would not believe, I literally did a search on blog topics to write on… What writer does that??? The lazy kind. Okay, Okay !!! I am only teasing, actually have a special one for you today and hope you all like it. It got me excited when I stumbled on it, I know it will do the same for you too. These awesome individuals have gone through the halls of innovation and creation. They have battled the obstacles. They have written millions of success into the economy and they have sold their stories to their audiences. The M-Quotes Flew By…Who Caught Them??? As I sat at my desk, late Friday evening, after work. I wondered, ” What was my motivation for the day? Where did I apply? How did I apply it? What was the end result? I couldn’t place a single quote in my head. Why? They all flew by, and I was too busy to catch them. So I am giving you the chance to catch one for yourself today , make good use, and push yourself up to another level in any field of success. Here’s to those dreams that are coming true. The choice and desire to own and manage my own business wasn’t entirely all about income and wealth. It also involved the desire for independence, satisfaction (pride) and self-actualization ( self-esteem). It would allow me the opportunity to utilize my skills and aptitudes freely to achieve my goals. It gave me an opportunity to decide to be my own boss. We both know clearly, that through our daily lives and experiences, it is possible to be satisfied with your life without indulging yourself with material artifacts. I am pretty sure you know where I am headed; which is “living a frugal lifestyle”. I wanted to be happy. Happy to help people and I had often heard that people who had great empathy tend to be happy folks. How was I to achieve that? What adversity did I have to overcome to enhance my resolve and character? What more could I do to make success taste sweeter when it arrives? The fear of the unknown crippled me. It literally became my cornerstone of panic, and we know where this would eventually lead to… – Financial Disaster. Well, sometimes, i could a little bit dramatic, carried away with high sounding and fearful words, but you get the drift. 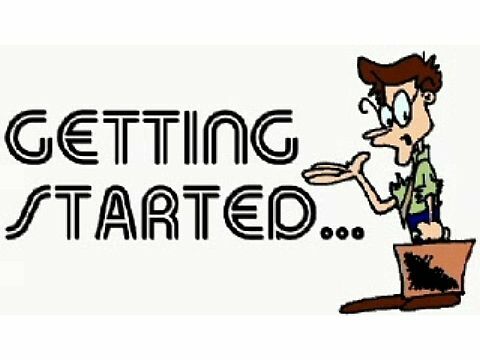 What Does It Take To Get Started??? Have you ever stopped yourself at any time of the day, and asked yourself this one question, especially when you have a dream, goal or desire, you wanted achieved, and never got to do it. I know I have. I have heard so many rants about how difficult it is, some think it’s easy, some say its “comme si comme sa”. Some think it’s just not worth it, going through all that stress and labour to get something done.